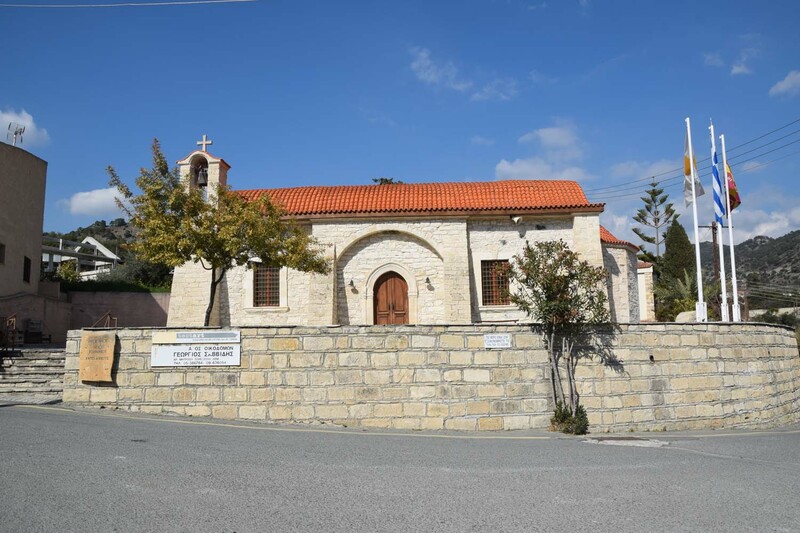 At a distance of a few kilometres east of the village Apsiou and north of the village Mathikoloni of the Limassol district, stands the Monastery of “Panagia Faneromeni Amirous”. 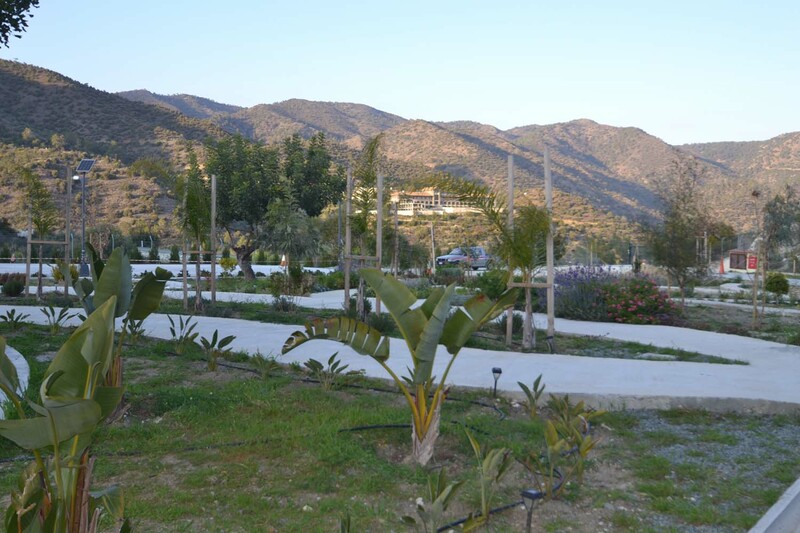 The Monastery is built at the foothill of “Kakomallis” and in such position that allows one to have a great view, up to the sea of Zygi. 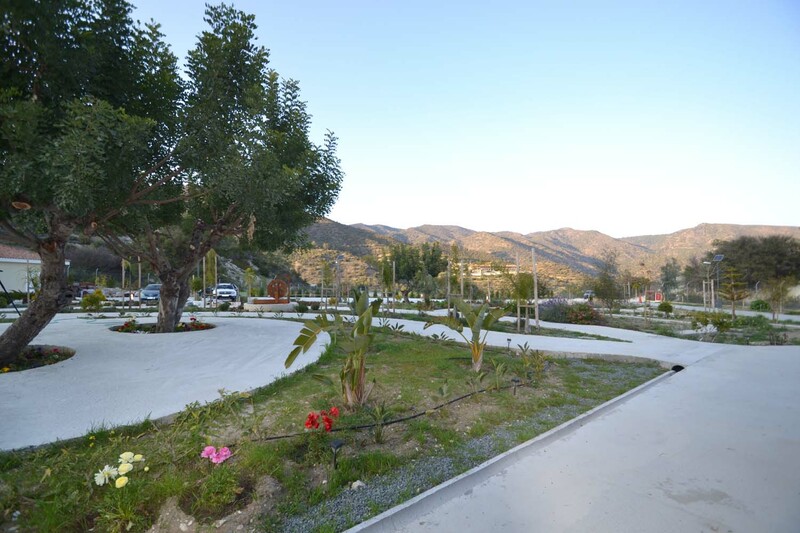 Within a very beautiful landscape and a -one of a kind -panoramic openness of the ground, you are given the chance of enjoying the Lord’s miraculous deeds. 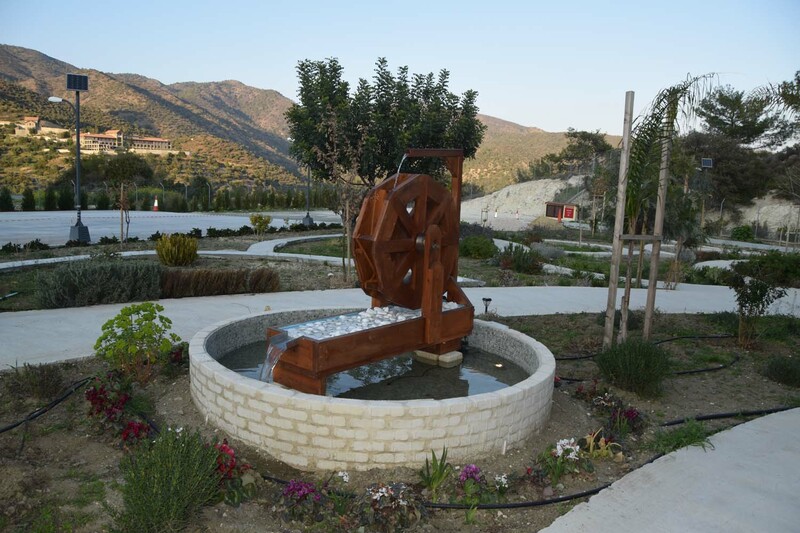 The tranquillity of the region and also the intense presence of the Virgin Mary in this “garden” of hers make the Holy Monastery an oasis for every distressed and tired traveller. 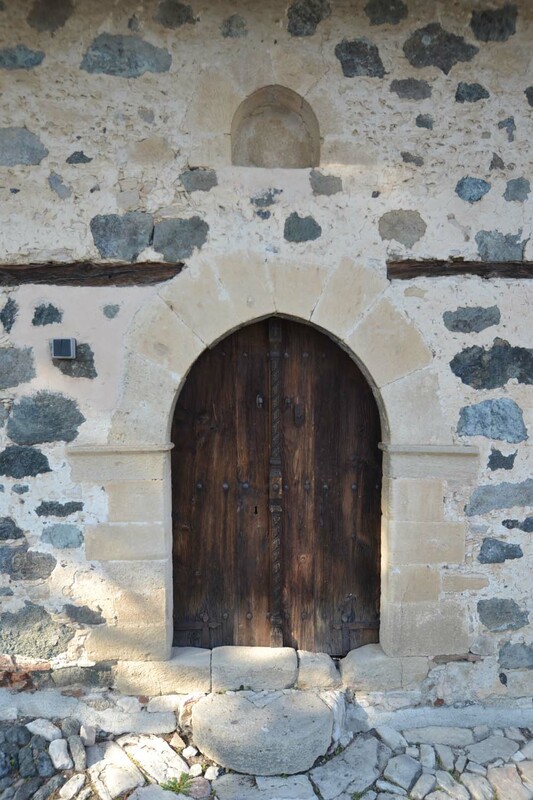 According to tradition, its foundation dates back to the 12th century. Testimony reports to it as a “Vasilomonastero” (built by some Royalty). Afterwards it was made known as a men’s Monastery that -during its heyday in the 17th century -run up to a hundred and one monks. 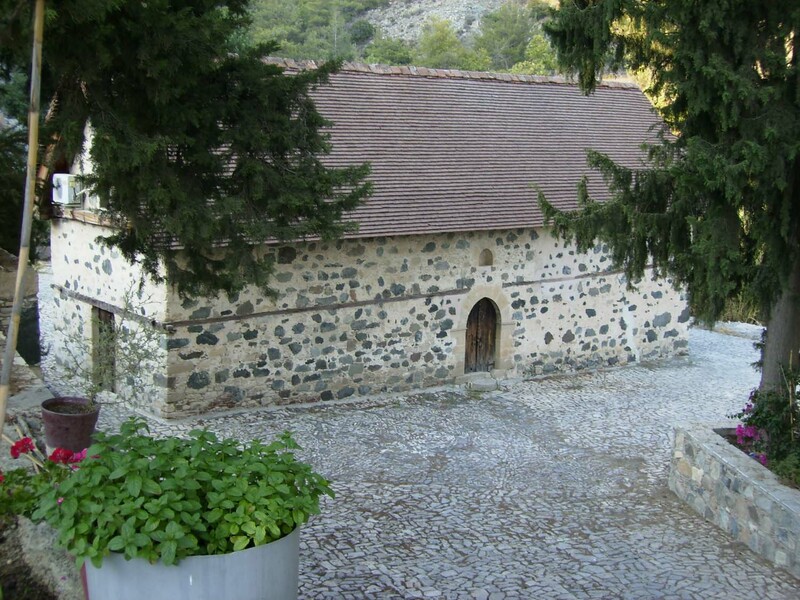 Two dependencies also belonged to the monastery, one of which lies north of the Monastery and is dedicated to the Saint and martyr Fotios while the other south and is dedicated to the Saint and great martyr Marina. It was rich and owned many estates around the Monastery that, when the Monastery declined, were sold to the inhabitants of the surrounding villages. 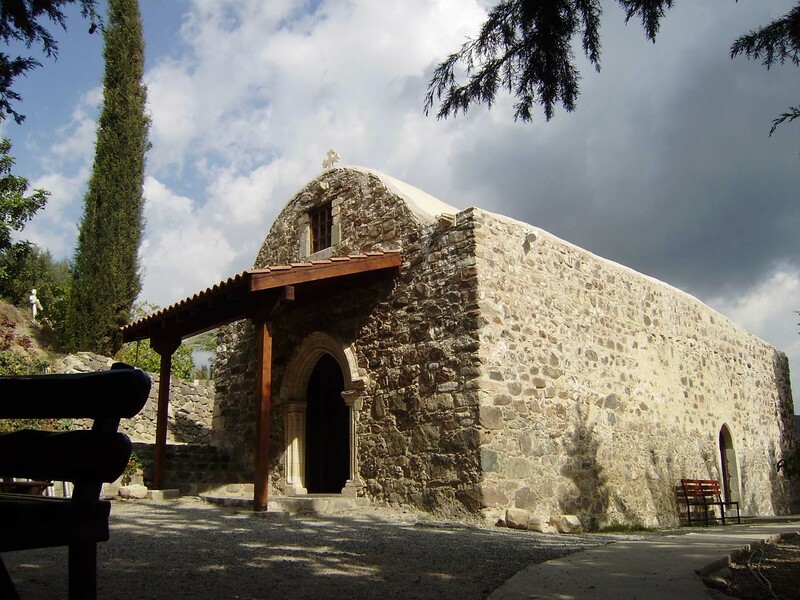 After the re-establishment of the village in September of 1997, several estates -necessary for the preservation of the Monastery’s peace -were bought by the Holy See of Limassol. Regarding the name Amirou, the predominant tradition reports that some “Emires” (Emir) from Syria had a daughter who was blind by birth; he wanted to take her abroad for treatment and while sailing along the coast of Amathus, the blind daughter saw light at some spot for the first time. 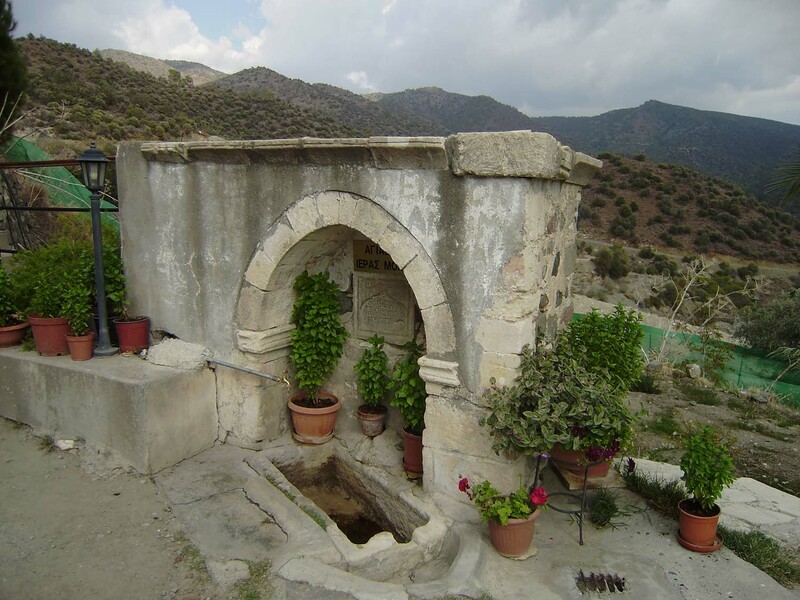 Following the light, they were led to the area where -even today -the Monastery’s healing Holy Water springs from a rock. 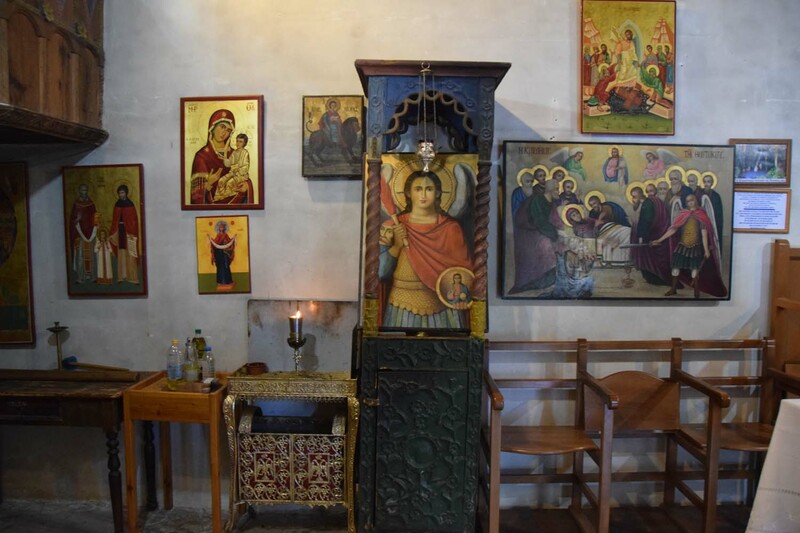 It is exactly there that the small icon of the “Vrefokratousa” (holding the infant Jesus) Virgin Mary was found, which is dated back to the era of Iconoclasm. 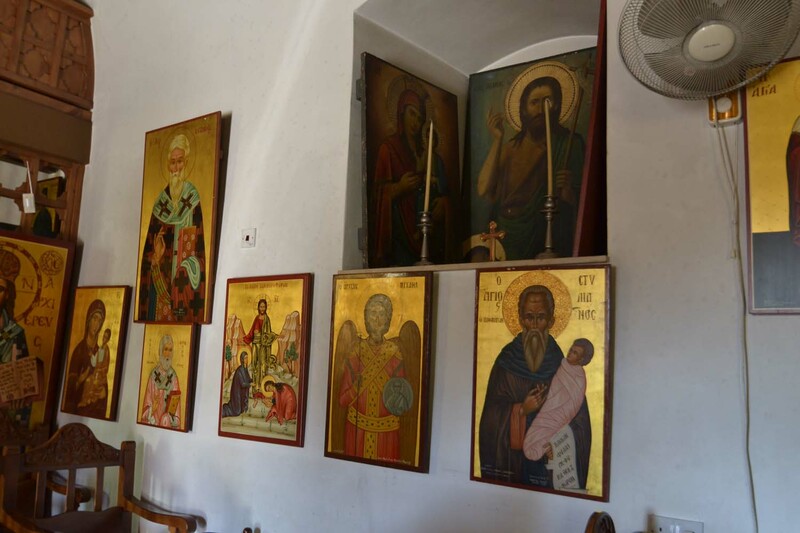 Today this Icon is found there, incorporated in a larger icon of the Virgin Mary that dates back to the 16th century and is placed in the Monastery’s icon screen; this exactly is the miracle making icon of “Panagia Faneromeni”. The Emir’s daughter, after washing her face with the Holy Water regained her sight. As a token of gratitude toward the Virgin Mary, the Emir erected the first Temple that is extant -though renovated -today. 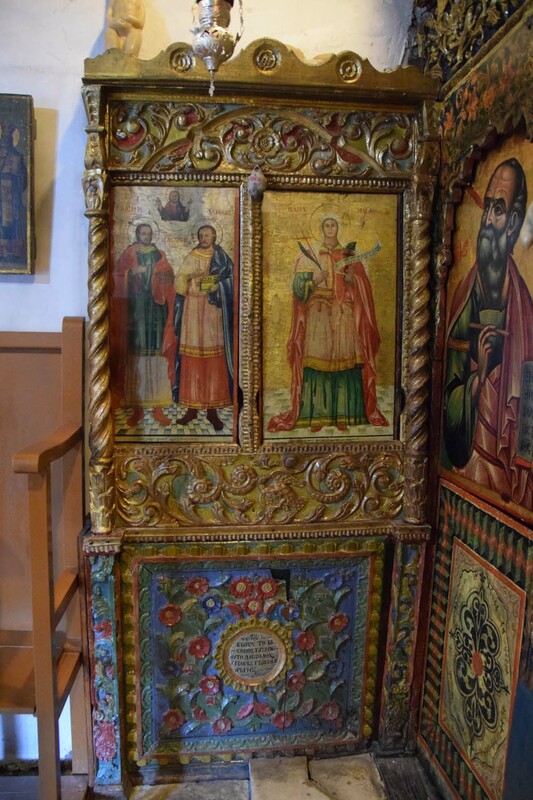 The icon screen is a 17th century, woodcut and gold-plated piece of excellent artistry. 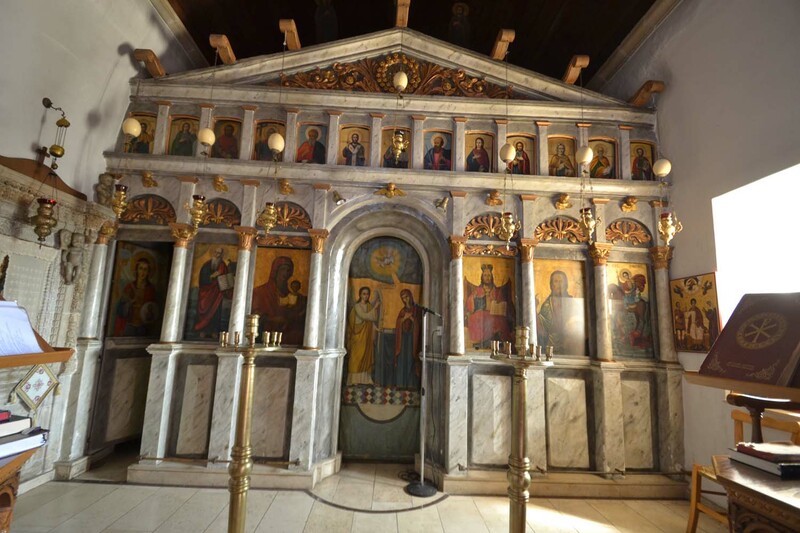 The icons date back to the 15th- 17th century. 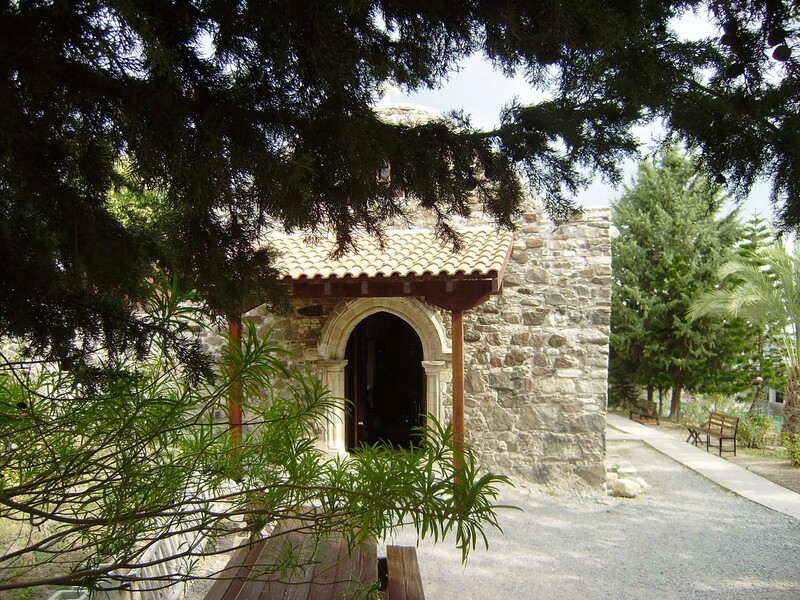 The Monastery is dedicated to “Zoodohos Pigi” (Life-giving Spring), celebrating on Easter Friday when a vigil is kept. It celebrated on Low Sunday to make easier the attendance of the faithful. It is also honoured with a vigil on the day of “Panagia Faneromeni”, that is, the 23rd of August which is the day of the Assumption. 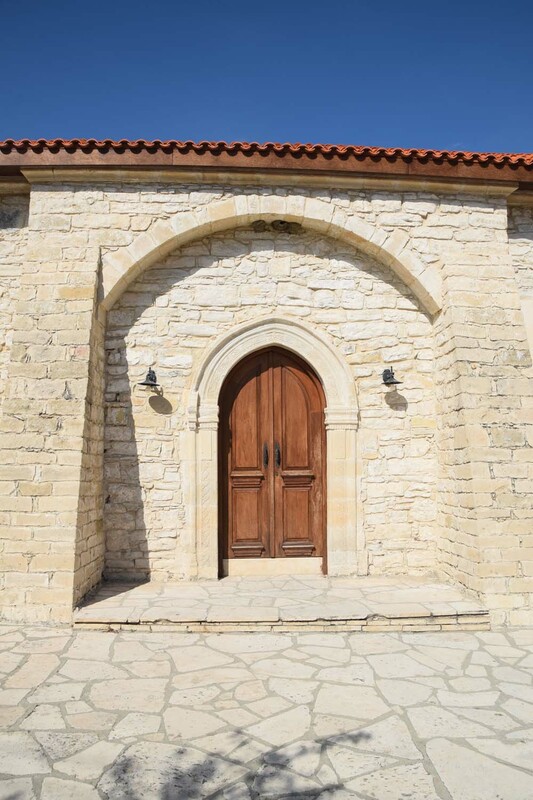 The Monastery’s renovation is the doing of the blessed, “gerontissa” (old-lady) Maria, who was the first resident and founder of the Monastery, having settled there along a small company of nuns. 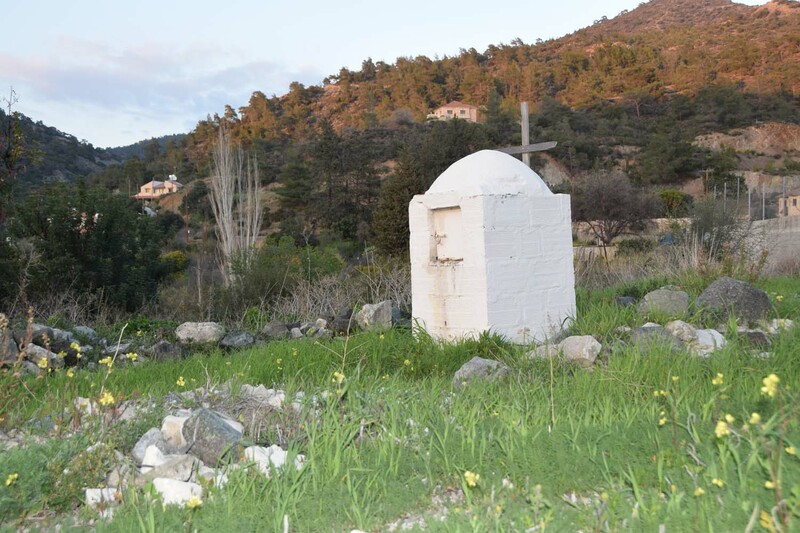 This occurred after the suggestion and with the blessing of the old-man Porfyrios, being the spiritual mentor of the “old-lady” Maria for a number of years. 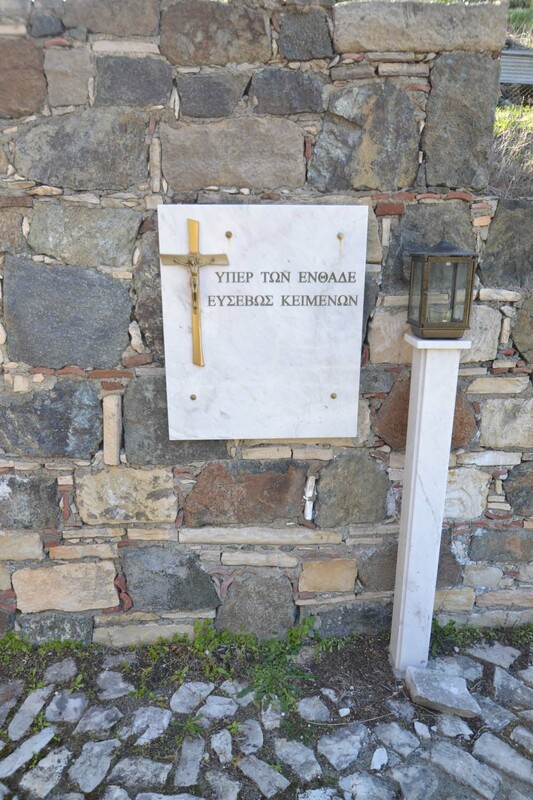 The “old-lady” Maria died due to an illness on 07/10/2001 and was buried in the Holy Monastery of the Virgin Mary according to her wishes. She really loved the Monastery and fought to see it revived until the end of her life. We are certain that -there where she now is -she mediates for the continuation of the mission she had envisioned. 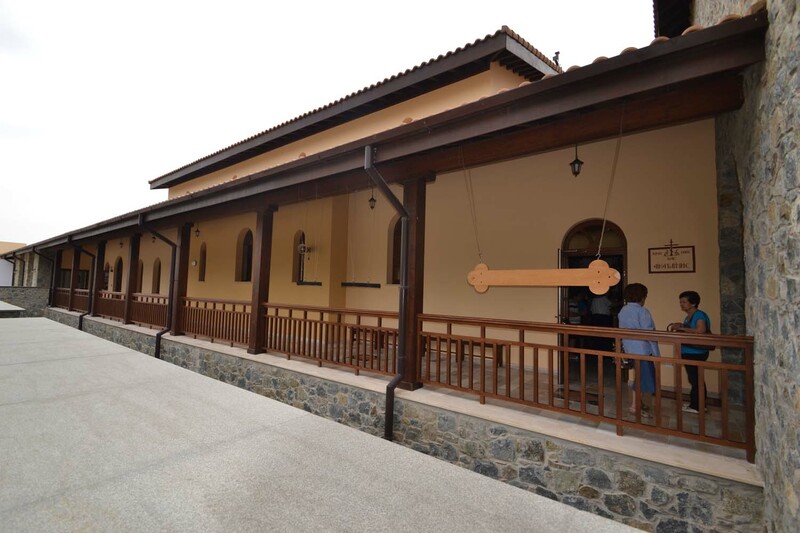 On Sunday of the Myrrh-bearers, 19th of May 2002, the enthroning of Sister Mariam, which came from the Monastery of St. Eracelidios with the blessing of the venerable Metropolitan Bishop of Limassol, Mr. Athanasios, took place. Five Sisters reside and live in the Monastery today, staying in temporary prefabricated lodgings. 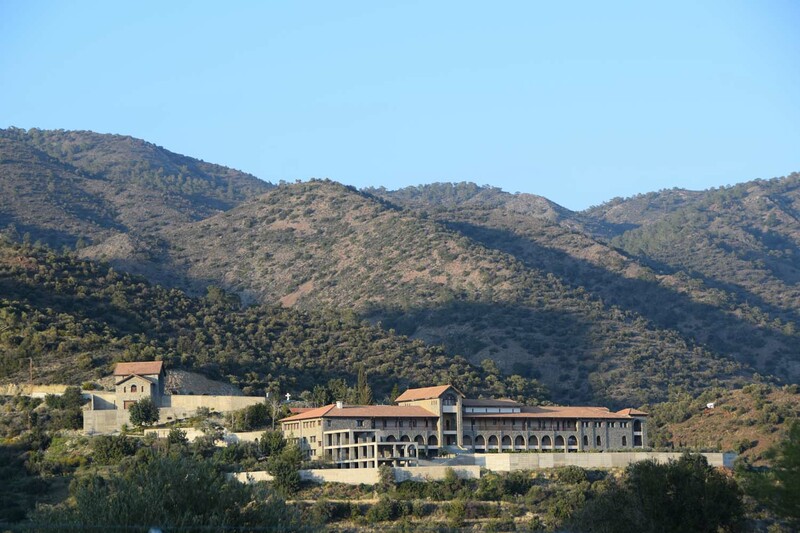 With the help of “Panagias Amirous”, the architectural plans for the new Monastery, which will be constructed from the foundations and up, have been made. The cost is huge. The Monastery has no financial resources. 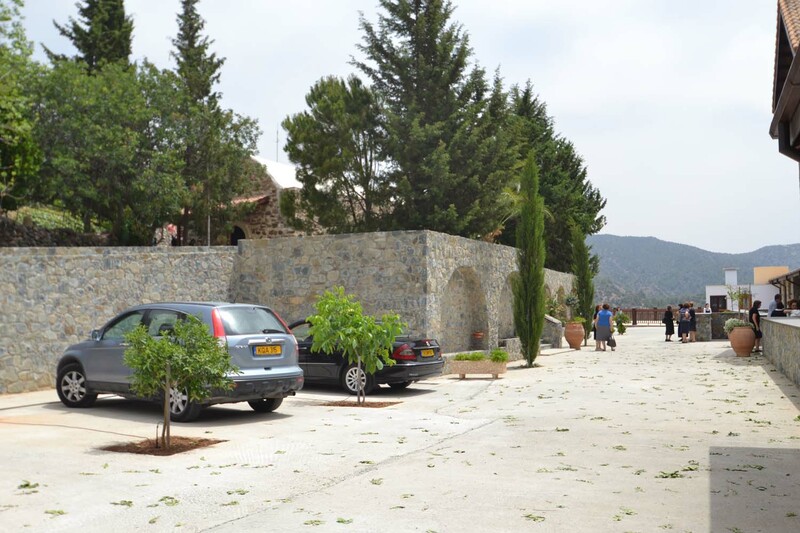 Its only support for the onset of the project is the property that the “old-lady” Maria donated to the Monastery for this purpose. (May her name live forever). 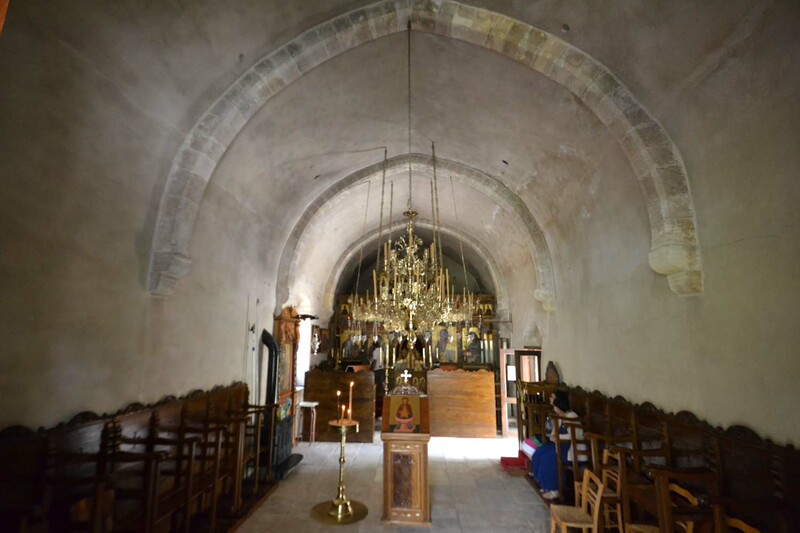 We are certain that the Virgin Mary that looks after for the reconstruction of the Monastery will help us in this difficult task, as also will the love of the pious people of Cyprus that really love the Monastery and benefit from the Grace of the Virgin Mary in various ways. 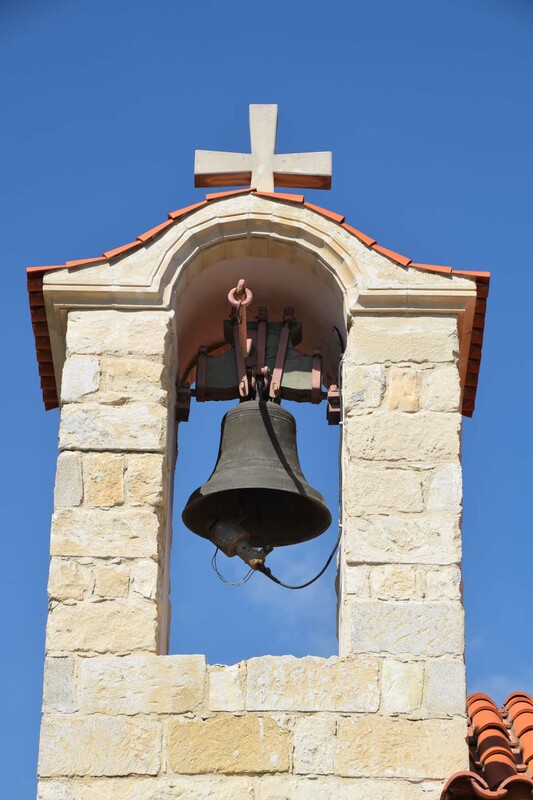 The Monastery is becoming particularly known during the past five years due to the Virgin Mary herself, which appears to many and invites them to visit the Monastery, as well as because of the many miracles that she performs -especially healing of eyes through Her miraculous Holy Water. Indications of those are the countless gold and silver offerings. 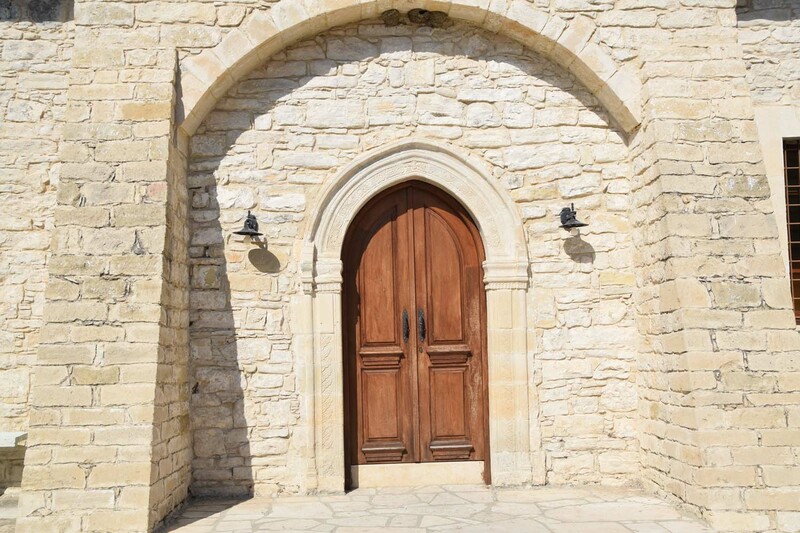 The Monastery accepts visits daily, from 8:00 a.m. until 1:00 p.m. and from 4:00 p.m. until 7:00 p.m. It remains closed every Friday. 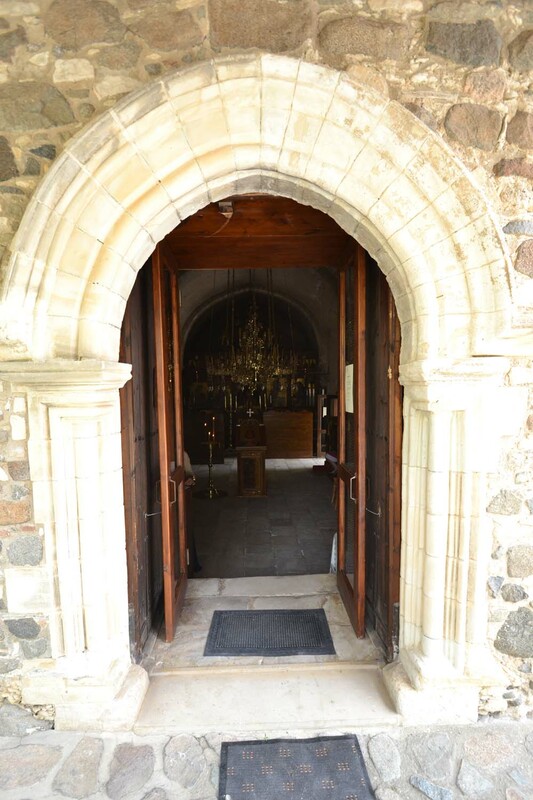 It is constantly open every Sunday. Every Saturday commemorations/memorials take place. Services are held 3-4 times a week, every Saturday and Sunday indispensably. For more information contact the phone-number 25542035 or the fax-number 25542921. 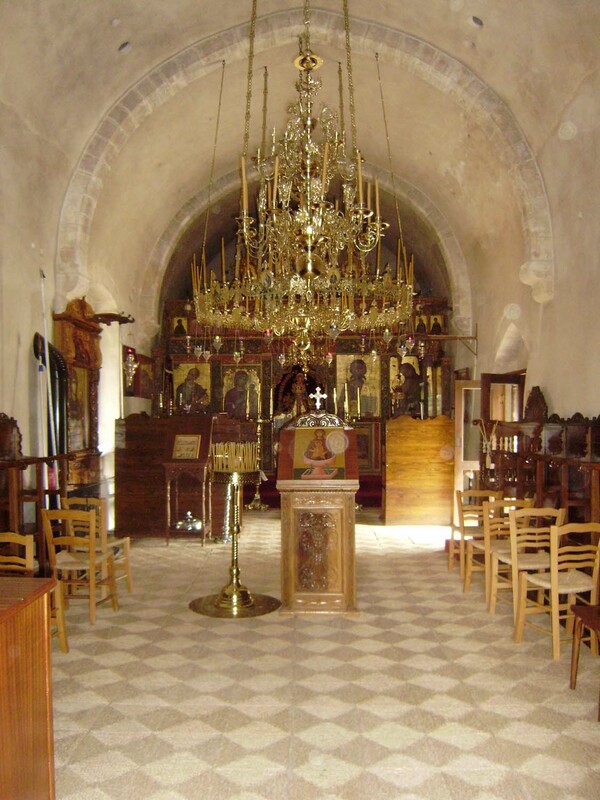 In the centre of the village Apsiou you will meet the central church that is dedicated to Saint Epifanios. 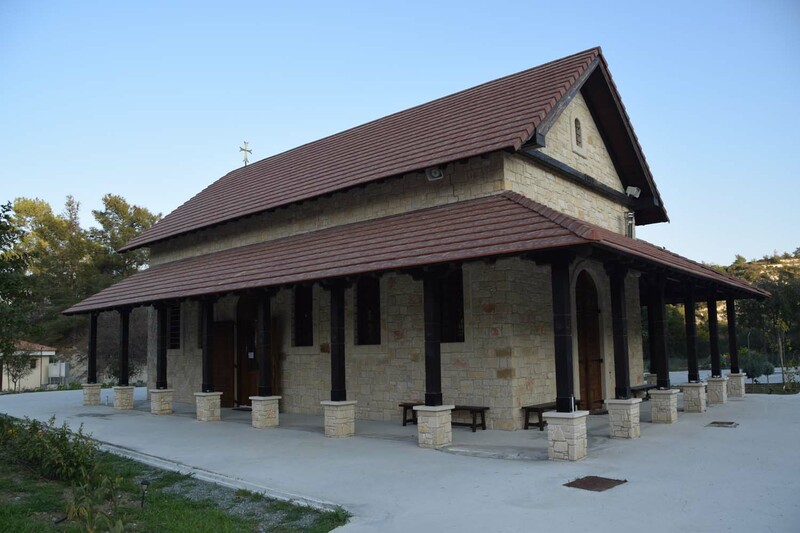 It was built in 1866 and its architectural construction is in monokliti type. 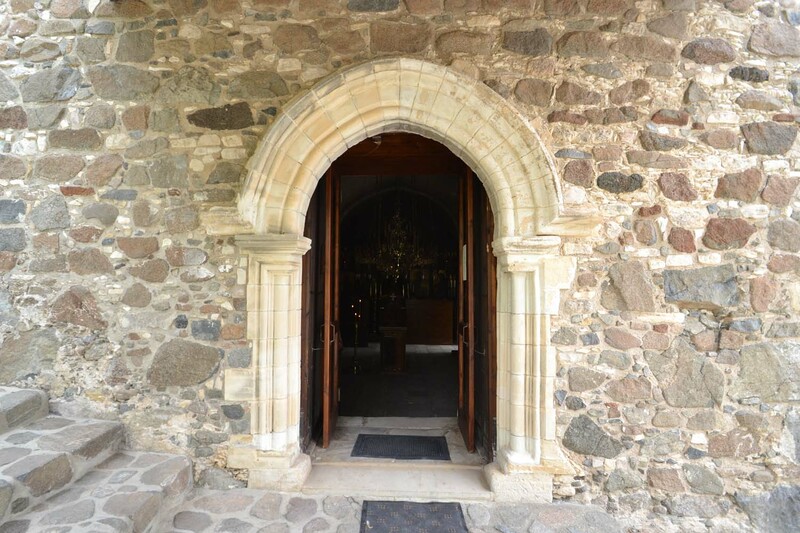 Externally it is built and decorated with Stone. Its interior is roughcast and white. Internally the temple which separates the sanctuary from the main temple is reed and its colour is grey. Occasionally you will meet copper with various representations as decorative element. 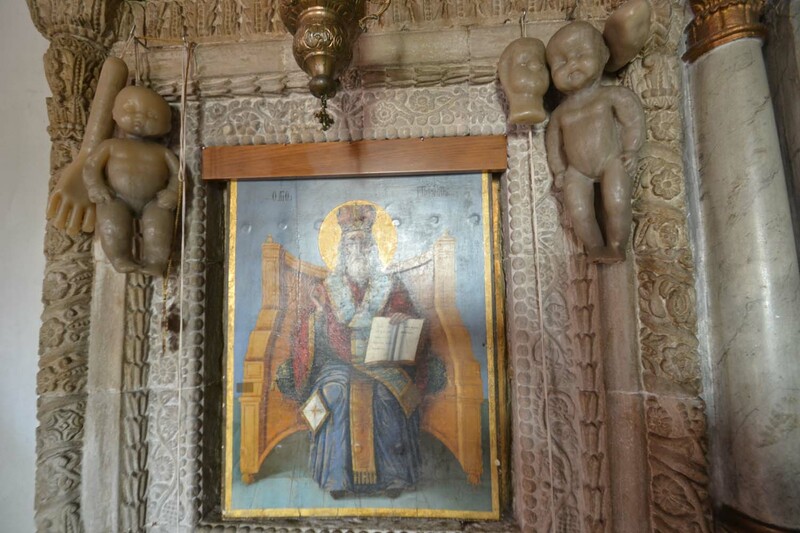 A handmade construction is the picture of Saint Epifanios and it is placed inside the wall, with stone decoration in its outline of representations of Dragons, flowers, and vines. 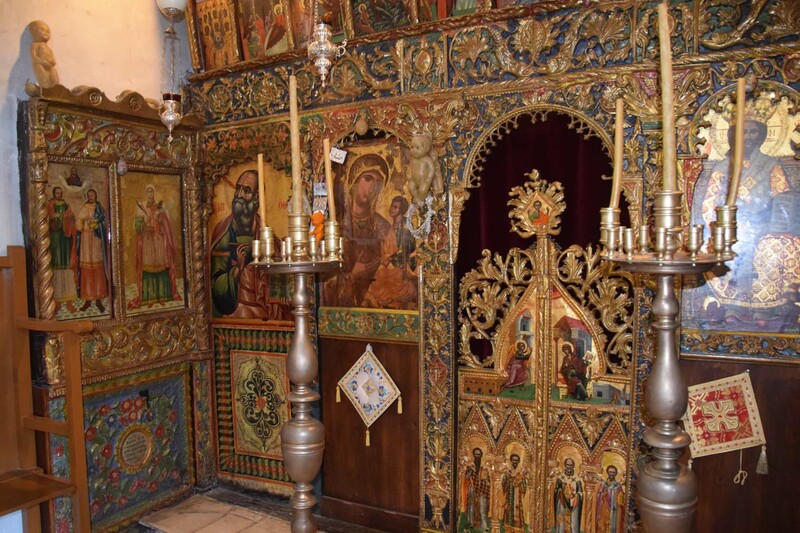 There are not any murals, only the portable pictures that are found on the reed temple. The old Psalters of the temple were destroyed and recently new wooden were constructed. Women’s quarters (area aside for the women) is a recent creation of wooden construction that is supported with robust iron columns, placed inside the walls. A splendid and enjoyable view has been created, so as for women to watch with every attention and jubilation the religious ceremonies. 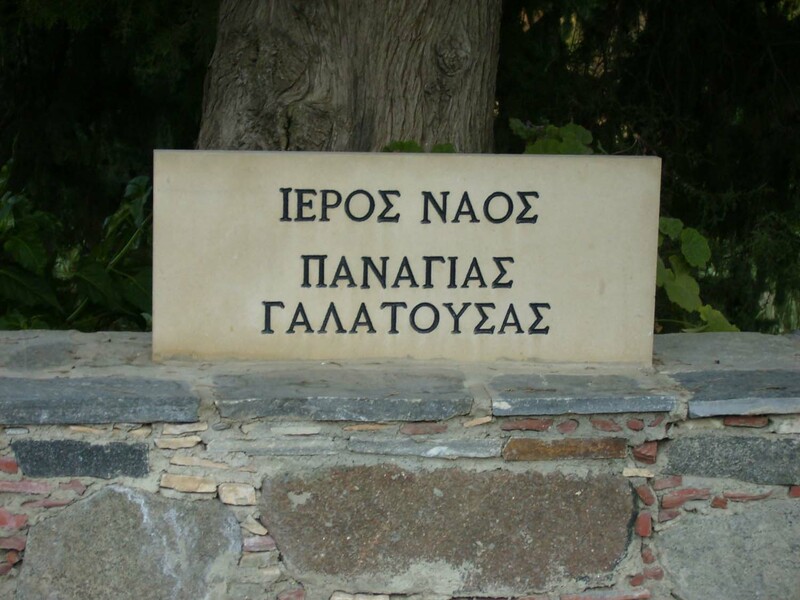 On 12th May, the day that Saint Epifanios is celebrated the famous litany takes place for the religious people. 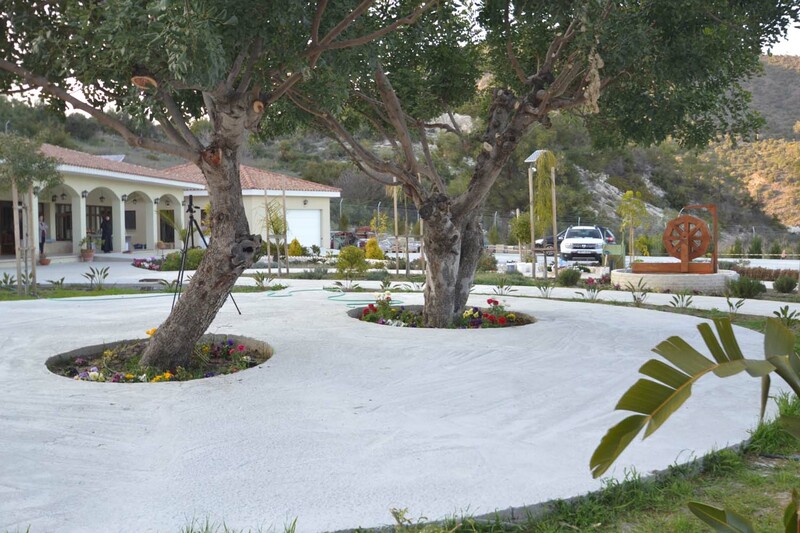 The community of Apsiou celebrates this day and there is a festival. Not far from the village to the east, there is a small chapel of Virgin Mary of Hrysogalousas.It Was built in 1700 – 1711 and the temple can take in up to 150 people. 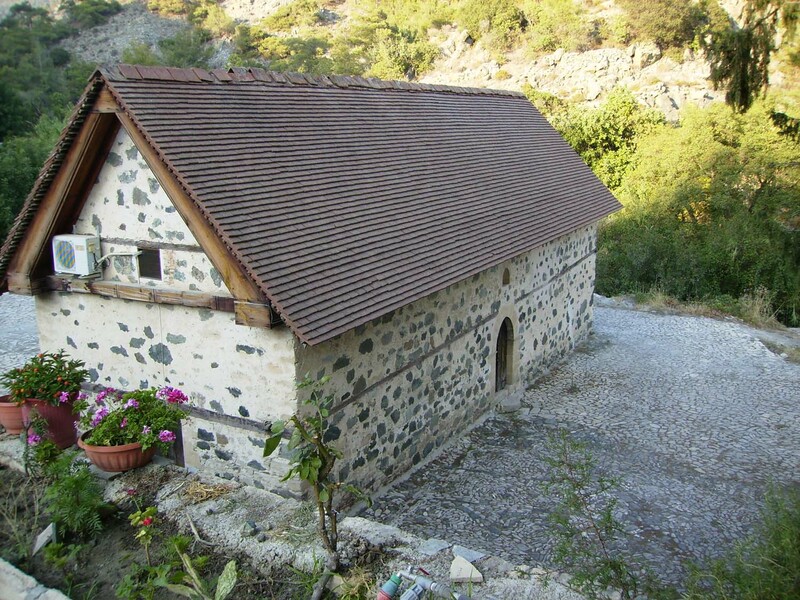 It is a Small and plain chapel, between the mountain and the river. 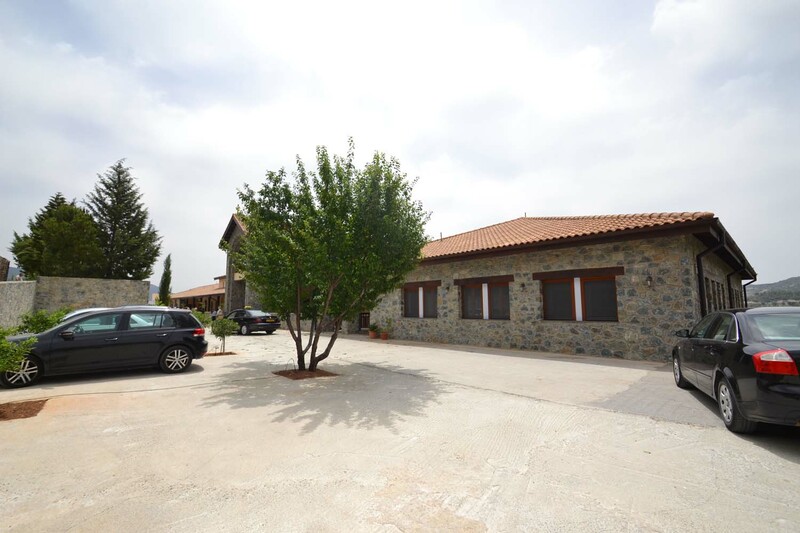 It is made of stone externally, monokliti type architectural and constructed with triangular roof. Internally it is white. Its Beautiful and woodcut temple dyed with gold paint and enriched with portable pictures, gives the wealth and the tastefulness of the sculpture, in the space of the temple. Further down the wooden women’s quarter makes its presence perceptible. It probably takes in around 30-50 women. 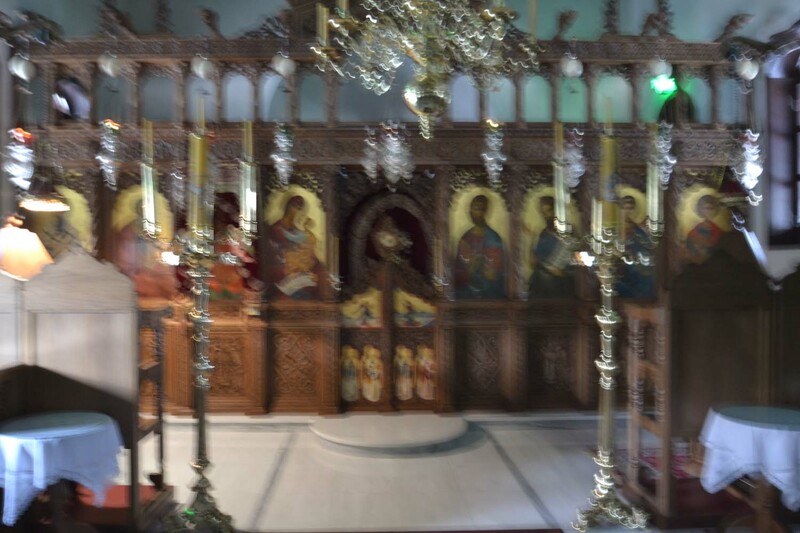 When you visit the chapel, entering it you will find few chairs, in order for the religious person to get some rest and be dedicated for a while to the miraculous Virgin Mary Hrysogalousa. The belfry is in the roof of the sanctuary. The dedicated picture of Hrysogalousas is dated since the 15th century and is saved in the chapel. Easterly of the chapel, two – three kilometres distance, while a shepherd was grazing his sheep; suddenly a light appeared in front of him. He followed it and led him to a cave. 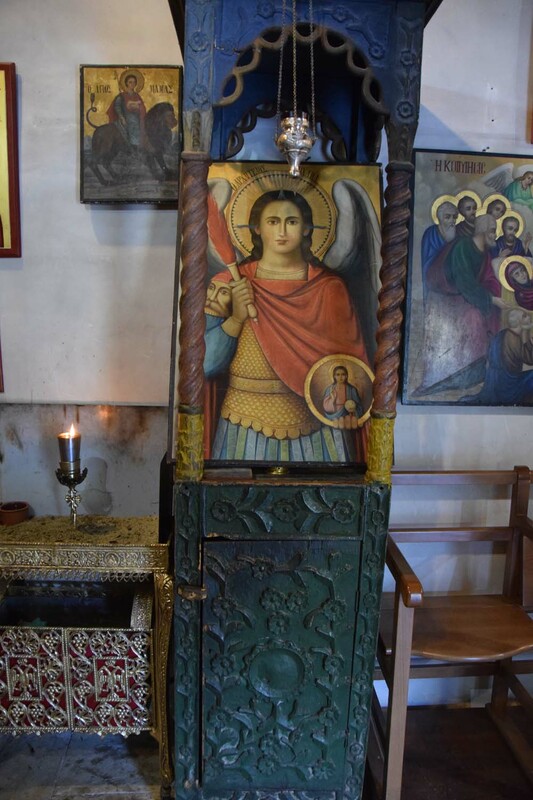 Entering this cave, this light led him face to face with the picture of Virgin Mary of Hrysogalousas. Further down outside the cave, there is a rock where the holy water of Virgin Mary is. Under this rock there are stalactites. On the one side of the rock the breast of woman appears to be shaped, where from that rock sour milk comes out. The strange phenomenon that happens there until today is that, as rough as the river goes, its overflowing does not mix with the holy water according to the resident’s testimonies. 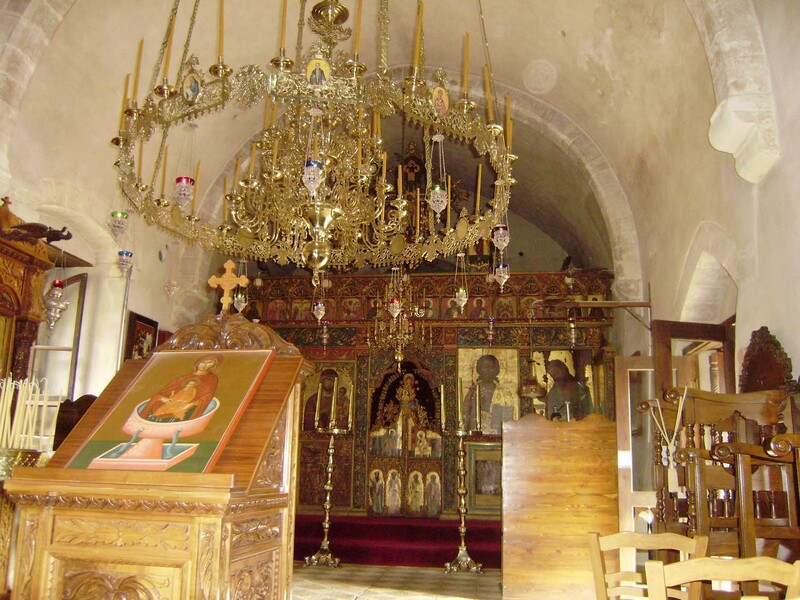 The Virgin Mary Hrysogalousa is celebrated on 15th August.